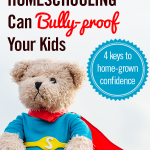 I read this article and wanted to share it with you: The Surprising Ways Homeschooling Can Bully-proof Your Kids https://blog.sonlight.com/homeschooling-bully-proof.html. A few people may tell you bullying is just a rite of passage to toughen kids up. The jock, the nerd, the popular crowd, the bully ... the stereotypes of school scenes are so familiar to us, it can be easy to overlook the long term effects of bullying on mental health. According to this study, kids who are bullied are more likely to experience problems with depression later in life, and one study even cited negative effects that surpassed those who experienced domestic abuse. And yet, almost one in three children experience bullying on a regular basis. What's a parent to do? Many parents initially choose homeschooling to remove their children from a bullying situation and, of course, there is much value in helping a child exit a negative environment. However, I think we should be careful not to fall into the ditch on the other side of the road and assume that because we homeschool our children, we can totally protect them from every pain and conflict life may offer. We live in a fallen world. It's likely our kids, homeschooled or not, will meet up with injustice at some point in their lives, whether that's on the playground or in the workplace. So if we can't guarantee a perfect bubble for our kids, what's the point in bringing them home? 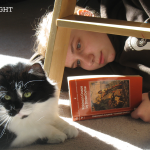 Just how does homeschooling help our kids with bullying? I believe the answer lies less in what situations we remove them from and more in what we instill into their lives. True confidence shatters a bully's power. I believe one of the greatest gifts of homeschooling is that we get to be the primary voice in our children's lives. If someone is going to spend seven hours a day giving your child messages about who they are and what's important, who would you prefer that to be? I'll never regret a moment John and I invested in our children. 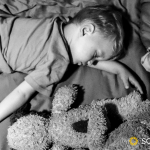 When a child develops a healthy sense of worth and identity, their basic beliefs about themselves are not subject to the whims of their peers. We can help give them a resilience that comes from knowing who they are. We can train them to be the kind of outward-looking people who help and praise others and can stand up to tyranny in all its forms with love and courage. In The Hundred Dresses, one of the main characters has just come through a long season of serving as a bystander while her friends bullied a fellow classmate. Near the end of the book Maddie "reached an important conclusion: she was never going to stand by and say nothing again." 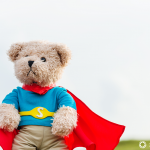 As we read great literature and imbue confidence in our kids to do what's right, we can raise children who not only know how to deflect bullies, but who have the courage to stand up to them in love. When the whispers of "the mean girls" are what your child hears day in and day out, those voices can be so loud it's hard to hear the message of truth. You have an opportunity to create a safe place where life-giving words are spoken each day. In our family, we had a rule: "No put downs." This rule was in place even for children who came into our home for playdates and I honestly think even the visitors felt a sense of relief that we were all committed to build one another up. When we are speaking life into our kids, we don't want to offer flattery, but truth. As we walk our children through Scripture, we help them gain an appropriate sense of self. We help them see their immense value in Him, and yet recognize that the only good in us is not our own, but a gift from God and a result of His grace. Creating a strong family identity is one of the key components of healthy families. It gives kids an important sense of belonging. The bonds we form as a family make a peer group's opinion slightly less weighty. When kids have a strong attachment to parents and siblings and can identify with their family as a team ("This is what we Holzmanns do. "), they are much less likely to feel their lives depend on their peer group's approval. 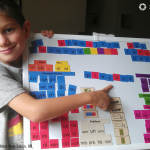 Homeschooling gives us wonderful opportunities for establishing this closeness and deepening our family traditions. Learning to perform certain skills well and then receiving positive feedback on that work is a huge confidence builder. I encouraged each of our children to learn to swim well, play an instrument, and practice judo. Unlike empty praise or a participation trophy for showing up, these skill-building activities helped our kids to enjoy real accomplishment. 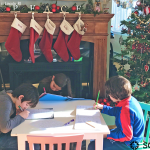 As homeschooling families, we can help our children identify their gifts and develop tangible skills that will grow their confidence by leaps and bounds. Whether that is playing in a band or encouraging others, we can help our children tap into the strengths God has gifted them. I did have to remove my son from school to bullying when he was in 2nd grade because at the age of 7 it leads to him trying to kill himself. Fast forward to today and he is 10 and went back to public school and the same kids are still bullying Charlie and 2 weeks ago tripped Charlie and he blacked out and no, one at the school called to let my husband or me know. So after that incident, I did remove him again. But school isn't the only place bullying happens as these kids jumped my son at the end of our Street and another kid had to pull them off Charlie as they hurt him pretty badly. So all we can do is try and keep our children safe at all times. Now, we could move to a new neighborhood but it could happen there so we are teaching Charlie to scream if they come near him. Because the next time it happens the police are going to pick the boys up which is sad as they are 10 and 11.